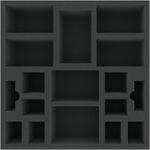 For the safe storage of your board game miniatures and accessories – Fits many original game boxes! 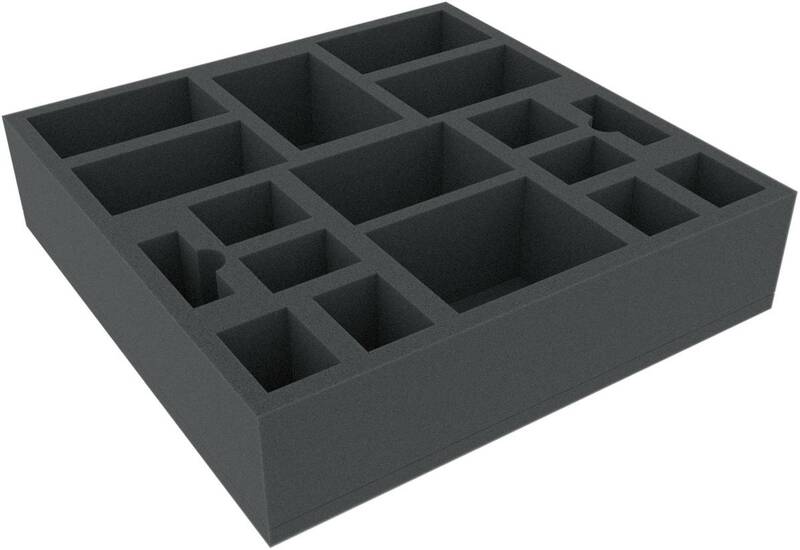 This foam tray has 17 compartments for the safe and orderly storage of board game miniatures and accessories. 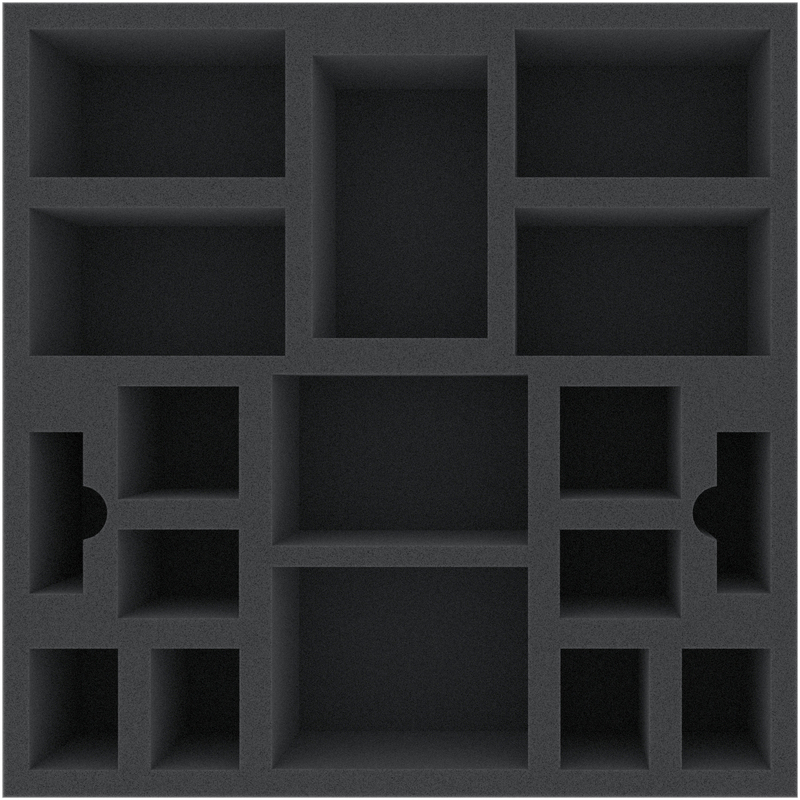 The tray has the following dimensions: 295 mm x 295 mm x 70 mm total height (60 mm usable height + 10 mm foam base). It is thus suitable for many original game boxes.